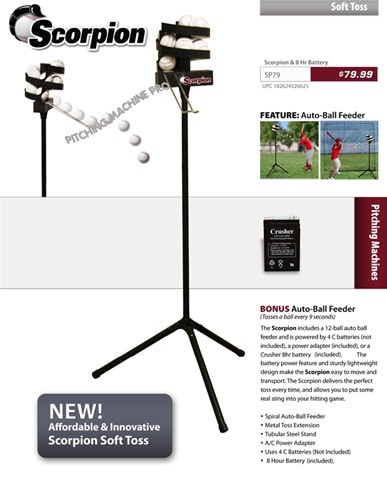 Perfect your swing and your hand-eye coordination by hitting ball-after-ball with the affordable Scorpion Portable Soft Toss Machine. 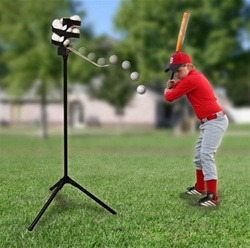 Use with Lite-Balls or Regulation Baseballs. 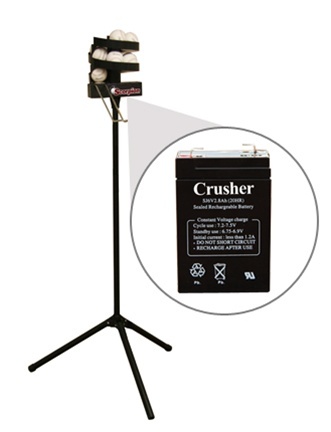 The Scorpion includes a 12-ball auto ball feeder and is powered by 4 C batteries (not included), or a Crusher 8hr battery (Included). The battery power feature and sturdy lightweight design make the Scorpion easy to move and transport. The Scorpion delivers the perfect toss every time, and allows you to put some real sting into your hitting game.